Ryan and Dereck’s wedding will forever be one of our most memorable wedding suites. 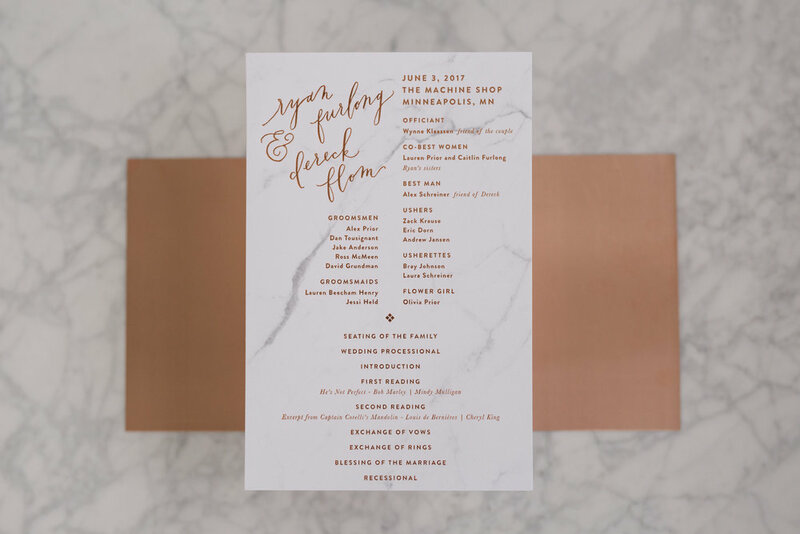 We loved the mix of marble paper, copper foil and slate gray for a sleek, modern wedding suite. 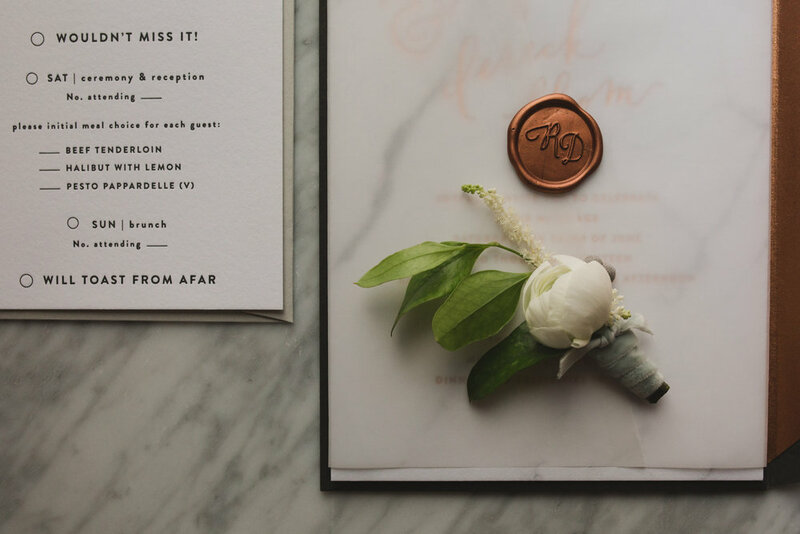 The invitations were printed with all copper foil on an extra heavy marble stock. 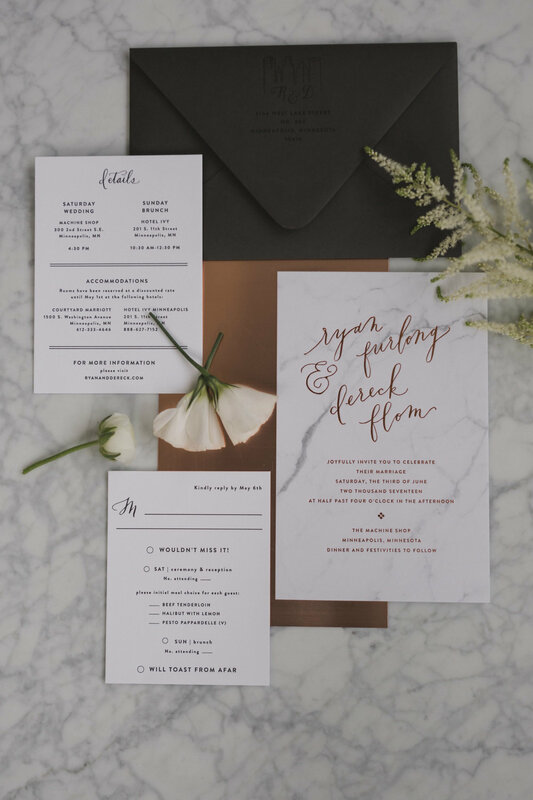 We letterpressed the rest of the pieces with dark, slate gray ink to match back to our envelopes and veins in the marble. We used copper for an envelope lining as well as a custom wax seal to finish the suite off. We even created a custom velum wrap to enclose the entire suite! The copper details and custom monograms continued through to the day of pieces. We did all copper foil wedding programs and carried the marble paper through to the seating chart signs and menus. 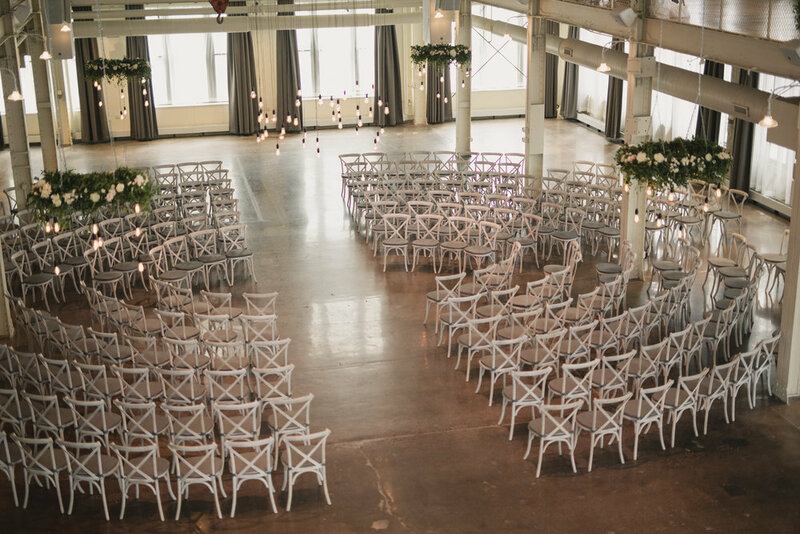 The pieces mixed perfectly with the industrial vibe of the Machine Shop venue and we were so glad to be a part of this gorgeous day! All Photos by Cadence and Eli Photography, you can check out more of their work here and here! Thanks so much for sending these our way!